located just 30 minutes SW of Fort Worth in Granbury, TX. 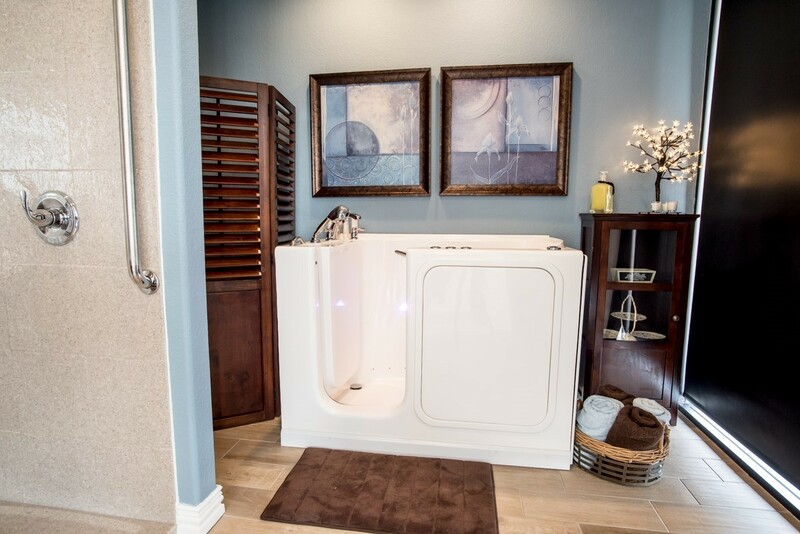 Best Buy Walk-In Tubs will customize your bath tub to fit your needs, with the desired features you want. We are not a cookie cutter walk in bath business. We are the only showroom with all of of our models on display. Come see why we are the oldest walk in bath company doing business in the US. Why Choose Our Walk in Bath Tubs? Our goal is to provide 100% satisfaction. As far as we know, we are the oldest manufacturer and retailer of walk in bathtubs! We are offering a new 2" drain that lets the tub drain in approx 1.5 minutes it does not require another motor. We try and save money for our customers when and where we can. We are the 1st WALK IN BATH TUB COMPANY to offer this new feature which is a new back massage vibration system on our walk in and slide in bath tubs. The system is located on the shoulder area. This massage vibration system does not circulate water it is for a relaxing massage while enjoying the bath in one of our walk in bath tubs or our slide in bath tub. Step into comfort with a walk-in bath tub! 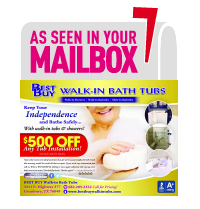 At Best Buy Walk in Bath Tubs, we are family-owned and operated and our company proudly manufactures our products right here in the United States (Texas). Our company knows how much a walk-in tub can add to your bathroom. Not only can they be a beautiful addition to your home, but the benefits are unlimited! For this reason, we sell products that are incomparable when it comes to safety, independence, and comfort. Not only that, but many of our models also allow you to enjoy the benefits of air hydrotherapy from our jet systems. Located in Granbury, we offer a showroom with all of our models on display. As far as we know we are the only showroom with more than one model on display in the entire state of Texas and possibly the USA. We were the company that worked hard and were able to get the walk in bath tub added to the VA HISA Grant. We were also the first walk in bath tub company to be VA approved for installations! If you are looking for a walk-in tub or assisted bathing products, we encourage you to come visit us or give us a call as soon as possible. When you purchase from us, you can be confident knowing that you are not only getting the most affordable walk-in tub, but also the safest. We consider the well-being of our customers to be paramount and do everything we can to supply them with a product that can meet and even exceed the highest of standards. To request a free quote, do not hesitate to give us a call at 888.825.2362. We strive to be 2nd to none in customer satisfaction.